Symptoms usually appear within a few days of stopping, or dose reduction. Two systematic reviews studied withdrawal reactions with selective serotonin reuptake inhibitors (SSRIs). The first review asked whether withdrawal reactions were different between benzodiazepines and SSRIs, and authors concluded the two were “very similar.” They strongly assert that SSRIs fulfill the criteria for tolerance and dependence in addition to a withdrawal syndrome.6 The second review studied withdrawal symptoms associated with SSRIs. That review found 15 RCTs, 4 open trials, 4 retrospective investigations and 38 case reports. It concluded that SSRIs should be added to the list of drugs where stopping can induce withdrawal symptoms. This list includes benzodiazepines, barbiturates and other psychotropic drugs. What proportion of patients have withdrawal symptoms? Antidepressant withdrawal symptoms have typically been identified by post-marketing adverse drug reports. They are more frequent than suggested from early drug approval trials.7 The drug monograph for duloxetine (Cymbalta), for example, reports each discontinuation-related symptom experienced by 1% or more patients at a higher rate than placebo in controlled trials8, but doesn’t provide the overall proportion of patients experiencing symptoms. 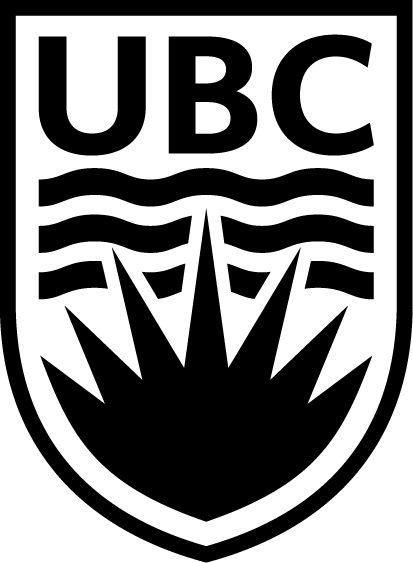 A manufacturer-funded uncontrolled observational study reported that 51% of patients discontinuing duloxetine experienced one or more symptoms.9 In general, one to two-thirds of patients have at least one new symptom when abruptly discontinuing an antidepressant.10 When stopping is investigated in clinical trials, the Discontinuation Emergent Signs and Symptoms (DESS) checklist is often used.11 The incidence of withdrawal symptoms appears higher with short half-life antidepressants (e.g. paroxetine, venlafaxine) than from long half-life antidepressants (fluoxetine and its long-lived metabolite norfluoxetine).10 A major gap in the literature surrounding the DESS checklist is that improvement in symptoms after stopping is not captured. Is there evidence for an optimal method of stopping antidepressants? When to taper or abruptly stop? The optimal method of stopping antidepressants is currently unknown and withdrawal symptoms can happen unpredictably, despite tapering. Some considerations favouring abrupt stopping or tapering are shown in Table 1. No toxicity from ongoing antidepressant therapy. Short half-life of drug and metabolites (<24 hrs). Patient prefers autonomy of self-regulated taper. Pregnancy and the safety of the antidepressant has not been established. Important new drug may interact significantly with antidepressant. Patient is experiencing troubling toxicity related to their antidepressant. Trial of tapering is prolonging the discomfort of withdrawal symptoms. Long half-life of drug and metabolites. Reduce to paroxetine 30 mg daily x 1 week, then 20 mg daily x 1 week, then 10 mg daily x 1week, then 5 mg daily x 1 week, then stop. If intolerable symptoms occur, increasing back to the previously tolerated dose and reducing more slowly (e.g. every 2-4 weeks) may help. Antidepressants should be added to the list of drugs associated with tolerance, dependence and a withdrawal syndrome. Withdrawal symptoms occur in at least one-third of patients who stop. Before starting an antidepressant, patients must be informed of the possibility of withdrawal symptoms. The requirements for informed consent are analogous to recommendations before initiating long-term opioid therapy. Some symptoms may improve upon stopping but this is not captured in the studies of antidepressant withdrawal. 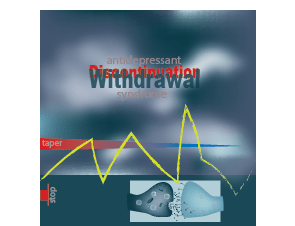 Any decision to abruptly stop or taper an antidepressant must consider the potential that recurrent depressive symptoms or increased suicidality may represent withdrawal or re-emergence of the original condition. The draft of this Therapeutics Letter was submitted for review to 130 experts and primary care physicians in order to correct any inaccuracies and to ensure that the information is concise and relevant to clinicians. Health Canada product Monograph database https://pdf.hres.ca/dpd_pm/00035593.PDF [Accessed July 9, 2018]. This is a very important topic, one often denied, and your treatment of it is very helpful. Thank you. It is quite possible many of the patients who take these drugs were not fully explained the issues related to dependence and withdrawal. This is part of the reason that we wrote this newsletter. We appreciate your feedback on this. We believe with better knowledge of the potential withdrawal effects of antidepressants, doctors will be able to better counsel their patients who wish to stop these medications. That was the thrust of our newsletter #112 and we thank you for sharing your perspective.